The Vermont Folklife Center’s charge, as articulated in our diverse programmatic activity, is to work toward a more just, peaceful, and sustainable world. The objective of ethnographic inquiry—the research methodology we ourselves employ and which we introduce to people of all ages—is to understand experience from the perspective of the person to whom that experience belongs. With ethnography as an organizing concept every person is recognized as valuable and significant, as an expert in their own arenas of activity, as creative, smart, and capable. No one is on the margins; no one is dismissible. Our educational programming deepens Vermonters' knowledge and appreciation of our state's rich cultural heritage—past and present—while our school outreach efforts are structured to help teachers and students leverage the power of place-based learning. Using ethnography and media-making to design place-based learning experiences. Individualized internship opportunities for high school, college, and graduate level students. 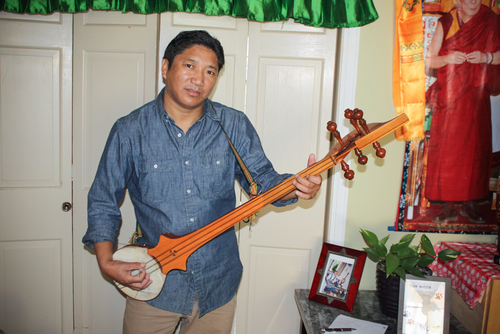 Exploring and sharing the musical traditions of New Americans in Vermont. Supporting the transmission of traditional cultures from masters to apprentices. Teaching Vermonters of all ages techniques of ethnography, media-making and storytelling.